With so many people choosing to protect their internet privacy by using a VPN, it’s little wonder there are so many new VPN services popping up everywhere, and many more websites giving advice of varying degrees of quality. It’s easy to find reviews of VPN services online, but many of those don’t go into a lot of detail regarding some very important aspects of what makes a VPN good at all. If you're on the look out for a great VPN Router, check out the Netgear R7000 or Asus RT-AC56U, two of our most popular routers. We’ve created this list of the most important things to look for in a VPN service, along with a list of VPNs we endorse for use with our routers, and others we know work but don’t necessarily recommend. VPN services often tout themselves as having the best encryption, as well as a long list of VPN protocols available. In practise, however, OpenVPN should be used whenever possible, with L2TP/IPsec being a good second choice in case OpenVPN is unavailable on your device, and PPTP should generally be avoided if privacy is a priority. Standard encryption with 128-bit key lengths are extremely strong, practically unbreakable. With this being understood, as long as a VPN offers OpenVPN and 128-bit key lengths, it should be good enough on the encryption side of things. Logging policies are essential reading for anyone considering purchasing a VPN service. Since keeping a user’s online activities private is one of the main things a VPN is used for, we want to be sure we know exactly what is logged, and what is discarded. Remember, any log that is kept can be subpoenaed, forcing the VPN service to hand over your supposedly private activity details. If one of your goals with a VPN is to access geo-restricted content (think Netflix/Hulu outside of the US), you'll want to be sure that the company has servers in the country that these services are accessed in. If you use P2P for downloading, make sure the company has servers in a country that's P2P-friendly (Switzerland, Spain, The Netherlands and Hong Kong are a few), which leads us nicely to our next section. Many people sign up to a VPN solely to be able to download Torrents safely, so whether a VPN service actually permits P2P/ Torrenting on it’s servers should be considered. Whilst most VPN services probably don’t care that much if you download copyrighted material, if they are located in a country that has strict data retention laws, they will probably have rules against Torrenting. The same usually goes for their servers located in those countries. The specifics can usually be found in the VPN service terms of service, and will often say Torrenting is only allowed through certain servers. If privacy is the most important reason for using VPN technology, you'll want to look for a VPN provider that uses shared IPs. With a shared IP address, it's nearly impossible to determine which user on an IP address is responsible for what action. Setting up a VPN connection can quickly get complicated if you don’t know exactly what you’re doing. Many VPNs come with a proprietary client that you install and control your VPN connection through, and OpenVPN is increasingly being built into many devices, so it’s not essential to have a custom VPN client to get set up fairly quickly. You'll likely want multiple connections across multiple devices. These days, most of us access the internet from computers, laptops, phones and tablets. If this is important to you, make sure your VPN provider allows for multiple connections across several devices. Or, better yet, purchase a Sabai Technology VPN router, which will allow you to connect as many devices to your network as you’d like. This may not be important to everyone, but if ultimate privacy is a concern to you, try to find a VPN Provider who will accept Bitcoin. With a few considerations, you can use Bitcoin to pay for your service anonymously. 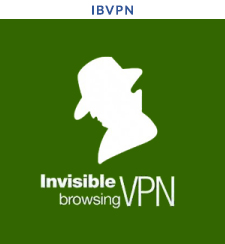 A VPN provider who allows for this is likely a VPN provider who takes security very seriously. BestVPN has a great guide to using Bitcoin anonymously here. 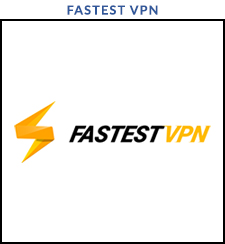 We've partnered with the following VPN providers to bring our customers the very best in VPN service. With reliable security, guaranteed compatibility with our routers, and great customer service, we're sure one of our partner providers will meet your needs. 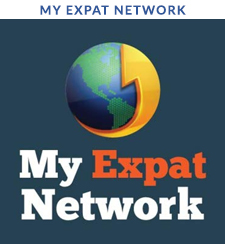 Click on a VPN provider below to learn more about their service. Click the images below to be taken to our page about the VPN Service Provider as well as setup guides and instructions for Sabai OS. Sabai VPN Routers work with all PPTP and most OpenVPN configurations. Any VPN client that uses PPTP will work, while OpenVPN requires a certain file structure. Sabai Technology is working on a list of known compliant vendors, however, this list is incomplete at the present time. Please do not hesitate to reach out to our team if you need assistance in this area. These are the VPN providers that Sabai has a working relationship with. Not only is your VPN account guaranteed to work with these providers, but, the technical support experience is optimized. These VPN providers have at least one customer using a Sabai VPN Router, so we know they work! There are hundreds of VPN services out there, so this is far from an exhaustive list. Sabai VPN Routers DO NOT work with Hide My IP, Anonymizer, Unblock-US, ProXPN and HotSpot Shield. If your VPN provider isn't on the list, we would be happy to test your OpenVPN connection before you purchase a VPN Router. If you would like for your VPN provider to work with Sabai Technology to bring premium technical support and ease of use - let us know in comments. We also recommend you contact your provider and tell them you want a Sabai VPN Router!